During my current teardown I have observed the cam chain guide at the front/header side of the motor has snapped right in half! I am having a very difficult time finding a replacement. Any help is appreciated, if anyone is willing to part with a halfway decent spare, that would be tremendous. .
Last edited by Dom P on Thu Jan 24, 2019 8:26 am, edited 1 time in total. Where are you Dom? Ebay should have some listed although the prices seem to vary wildly. I do have one but I don't think it was in a very good shape, it's been a while since I've seen it, I'll check it out later. Getting good replacements for this part seems no new problem. Someone even designed and made his own. GeorgeSweety wrote: Where are you Dom? Ebay should have some listed although the prices seem to vary wildly. I do have one but I don't think it was in a very good shape, it's been a while since I've seen it, I'll check it out later. I am located out of Connecticut. Ebay has many listed for the CB550 but these aren't compatible to the 650 are they? Hi Dom, Partzilla has the one in your pic listed for 500 and 550 fours. The spare one I have was from a parts engine and TBH its pretty knackered. The one in your pic looks to have one square mounting point where the one in my pic are both round. GeorgeSweety wrote: Hi Dom, Partzilla has the one in your pic listed for 500 and 550 fours. The spare one I have was from a parts engine and TBH its pretty knackered. The one in your pic looks to have one square mounting point where the one in my pic are both round. George, I would still be interested in your guide even to use the dimensions in creating a new one from nylon, delran, etc. That picture I posted above is from an ebay listing for a 550. i don't think they are interchangeable given the difference in mounting points. Bumping as I'm about to do a teardown and need one of these as well. Already have the chain and all the gaskets, but I can't for the life of me find a chain guide for my '82 CB650. If you will pay for the postage then its yours! PM me your full address. e_filippo wrote: Bumping as I'm about to do a teardown and need one of these as well. Already have the chain and all the gaskets, but I can't for the life of me find a chain guide for my '82 CB650. Where are you located e_filippo? I ask because CB650 motors are pretty common in the UK......its a damn shame that Nighthawks aren't! Sorry for the delayed response but I was able to locate one on ebay by messaging sellers of Honda CB parts directly to see if they had any guides left in their parts bikes that they had not yet listed. 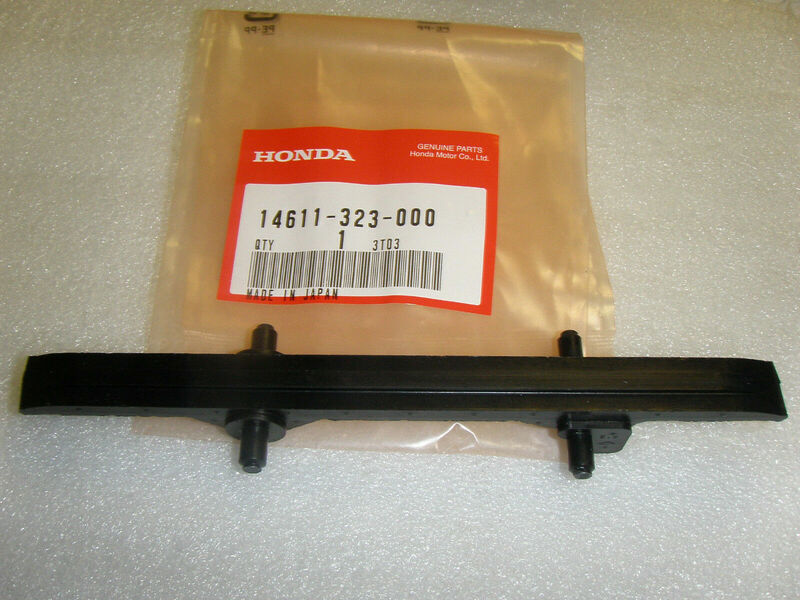 Dom P wrote: Sorry for the delayed response but I was able to locate one on ebay by messaging sellers of Honda CB parts directly to see if they had any guides left in their parts bikes that they had not yet listed. Glad you got sorted Dom, that one of mine wouldn't be worth the price of the postage to the US.